Sorry for the late update, had to reencode a few times 'cos I wasn't happy with the video. 500 years ago, the Lumen Sages and Umbra Witches were wiped out in a chaotic war. Between the two clans, there was one unbreakable tenet of faith. 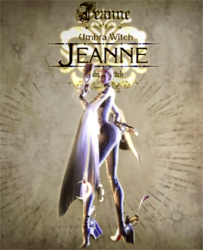 Jeanne consorting with the light in violation of that tenet, relentlessly pursues her fellow witch's destruction. Bayonetta, staring down the barrel of Jeanne's gun, sees something hiding behind the red witch's blood lust... Memories that cause ambivalence towards their battle. But now, no one can change the course they have set upon. "That is why the Left Eye, our treasured Left Eye, will never fall into the hands of another!"